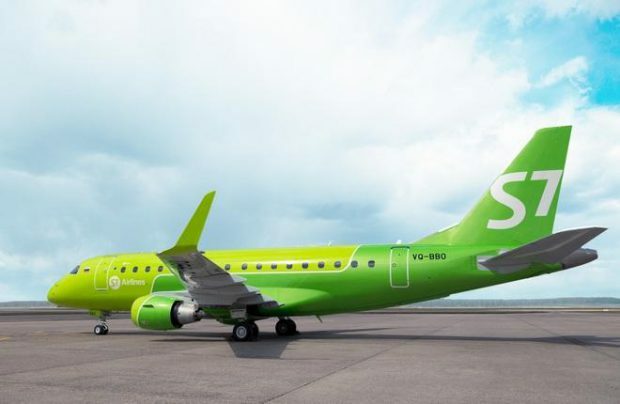 Russia’s S7 Airlines has ordered an Embraer E170 full-flight simulator, the FS1000, from FlightSafety International, says the manufacturer. The airline plans to install it at its training center at Moscow’s Domodedovo airport before the end of next year. S7 is planning on bringing its fleet of E170 regional jetliners up to 17 aircraft in the near future. “Acquiring the FlightSafety International full-flight simulator will give our pilots the opportunity to train in Russia under the supervision of experienced instructors at the S7 Training Center, the largest such center in Eastern Europe,” said S7 CEO Vladimir Obyedkov. The simulator will include, among other performance-enhancing features, FlightSafety’s VITAL 1100 visualisation system, a new instructor operating station, and large displays with multi-touch screens and scalable graphics. The first Embraer E170LR joined S7’s fleet in April this year, making the airline the only Russian operator of the type. Back in 2016 the carrier was planning to add more aircraft over a period of three years, with the possibility to speed up deliveries should the necessity arise. S7 Airlines currently operates a fleet of 72 aircraft, including Boeing 737s and 767s and Airbus A 319s and 320s.